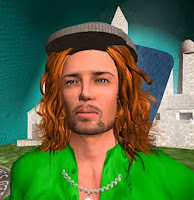 Kitely sales go up, but it looks like InWorldz is going to fail with its new venture, Islandz. I made a map tonight while there. It looks like they have only 13 regions active. And some of those are actually empty islands or waterways. Does not look good. Another disturbing thing is that they are using bitmap images of SL continents as filler when you zoom out on the map. Trust is tough to build, and easy to lose. I truly wish Islandz the best, but they have a steep hill to climb after losing so much. I had land in Inworldz for about six months. A huge part of their marketing was telling everyone how bad and scary Opensim is. The problem for Inworldz/Islandz now is, not only did they collapse and lose customer data, but subsequently their customers came to Opensim and found quality products and services in both providers and assets, contrary to what they had been repeatedly told. I also believe that closed worlds do not offer enough. With the hypergrid, you can choose your provider and still visit friends who have chosen another, or who have decided to host their own. There is so much more freedom. this is purely how i feel & nothing else, i just need to write this. indeed trust is hard when one person messed all up (being kind here). pple who gave her so much money 'to start' over i cannot understand & feel sorry for them (hope they wont experience same all over). some friends i knew, tried since a few years (it went worse & worse since a few years) all kindsa things to 'keep it going'. nothing of all the kind efforts they made helped - at contrary : they were never listend to & treated like 'not matter'. many ppl discoverd now that, as always said in iw, 'only there it was safe & all hg-others were only copybotting grids & unrelieable', that thats a lie. and all our inventories & creations (many were iw only) are lost to us. when i came 'dragged by friends' from sl to iw i didnt know yet about hgrids & if i had, i wldnt have lost so much (as so many pple did). at first i went (still need to delete that prog) to discord, where 'the place to be would be' to hear news. it made me sick to read what was written there, so didnt went back. Thanks Chris Namaste for the warning, I just signed up for "Discord" but will not install their application. And we will try to be positive about things in general. Just a reminder in case any one is interested in staying in touch with our Inworldz families.. There is a Kitely Group "Inworldz ExPats"
News flash, Islandz VR bites the dust! The successor to InWorldz seems to have bitten the big one. Word late last night (US time) was that Ele (CEO?) was calling it quits. Lack of money, utilities, housing, being shut off. Also, Jim Tarber the chief tech officer, who was only volunteering his time. Claimed family emergency. I wish them all the best. Its a real problem saving content and moving on for people who designed all this stuff for that propriatory grid. It is looking more and more like Open Grid / HG is the way to go. So much stuff is going to be lost just when they thought it could be rebuilt. Its sad. I had created and published a map of most of the sims, a combination of CAD and bitmap images, so I know something of the extent of InWorldz at its peak. The Discord channel for Islandz is also shut down as of this afternoon (US time). I just visited grid and people there said it might be up for maybe 5 days. I'm not sure. Buyer beware, as always. Archive what you can when you can, pursue joy, and don't lose your sh!t!